Not all were thriving births but all babies have left a place in my heart so deep that I am forever changed. I may not be the most outspoken person on social media but I hope that my work has left a little piece of love in cyber world. I am insanely passionate about shooting my birth and motherhood sessions and I hope you can see how much I love what I do. 20 Babies in 2018 - 10 girls and 10 boys! A highlight of 2018 was judging the Australian College of Midwives Birth Photography Awards & meeting the incredible Lacey Barratt - #girlcrush anyone? Cat Fancote and I founded The Birth Femmes and organised an evening chat about birth photography which expanded into an all day workshop - SO MUCH FUN!!!! 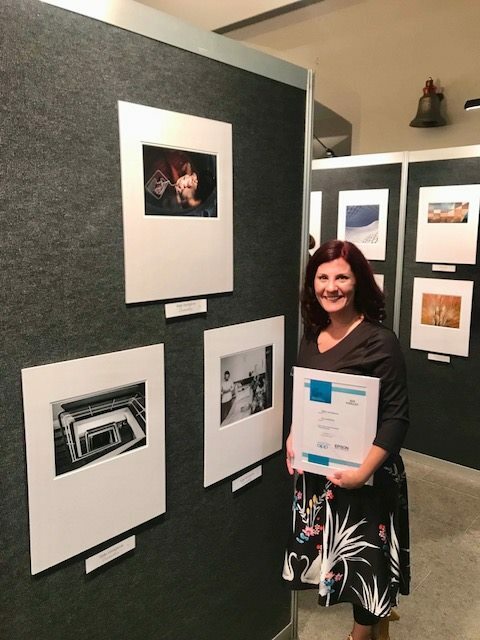 I was a finalist in the WA AIPP Professional Photography Awards in Documentary - sooooo exciting! Lacey hosted an Intimate Mother photography workshop in my studio and we had a blast with Krystal Miller & her daughter as our amazing models for the day! I’ve been following Krystal and her journey with a “bag” for years now so it was incredible to meet her in the flesh- she’s a rad human being. I’m probably going to sound like a bit of a wanker right now but these are the photographic achievements that I received in 2018. It really blows my mind to reflect back on the year! there’s that time I was in New Idea!!!! My photos of a maternal assisted caesarean birth were published in New Idea!!! Carley shares her birth story and how she came to the decision to have this empowered birth. 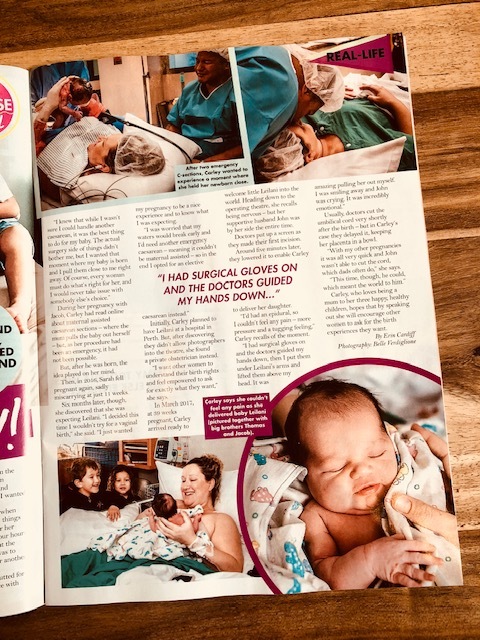 I’m so proud of Carley rocking her caesarean birth. Go mama! My photos of Carley Valikoula during her maternal assisted caesarean were published in New Idea!!! How can I wrap the entire year up with 9 photos???? Well, Instagram took care of this for me by showing me my most loved/favourited photos for the year from my IG feed - here’s my Best 9 for 2018. So freaking proud of myself for an amazing wild year! But most of all, I have met some incredible people, photographed beautiful souls and connected with freakishly passionate warrior goddesses who I am honoured to call my friends. Stay true to yourself and the rest will follow. May 2019 be the year of prosperity and joy for you and your loved ones. I count my blessings every single day. This little heart is happy and full. Thank you to everyone who has supported me and continues to support me. I love you all.